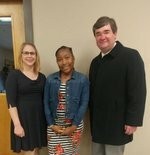 Samya Provitt won the Brundidge Lions Club essay contest for 6th graders at Pike County Elementary School. She was invited to read her essay at the Veterans' Day Ceremony hosted by the American Legion Post #70 in Troy. 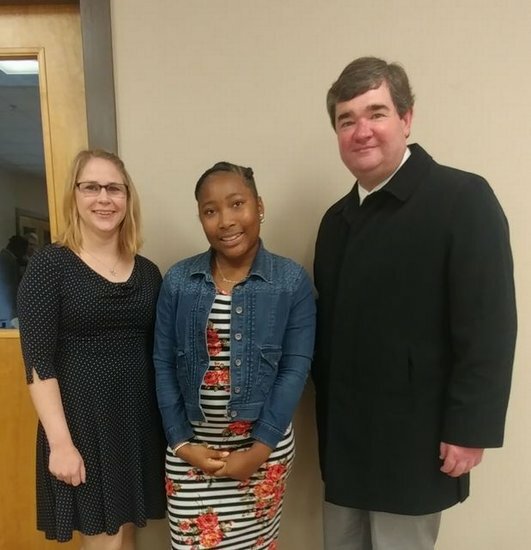 Pictured here with Samya are Ms. Liane Knotts, 6th grade teacher, and Troy Mayor, Jason Reeves.